Midweek has arrived; time to take a minute and reflect upon the madness of the first half of the week and anticipate the remainder of it. Okay so this is a typical week for me in a nutshell and, thankfully, I am slowly kicking my to-do list into touch, but how to unwind in the midst of a manic schedule, especially when a portion of my week is spent working from home? I have discovered that one solution to this conundrum is my new penchant for scented candles. I've long been a huge fan of these waxy wonders, largely as handy accessories for interior styling, and as a source of soothing ambient lighting. However, in more recent months I experienced somewhat of an epiphany when it comes to the scented variety, albeit rather late in the day! I'm not 100% sure when or where my enlightened discovery first took place but I do recall visiting a client's house in June, and charming Victorian hallway tiles aside, the first thing that truly struck me on entering the house was the heavenly scent of 'Oranger' or, Orange tree, by Diptyque. It is amazing how one small candle can completely change the experience of a room - I was immediately transported to somewhere beautiful and Summery, which made the house in question feel all the more inviting, and first impressions count for everything. So which scented candle am I currently swooning for back at the cottage? 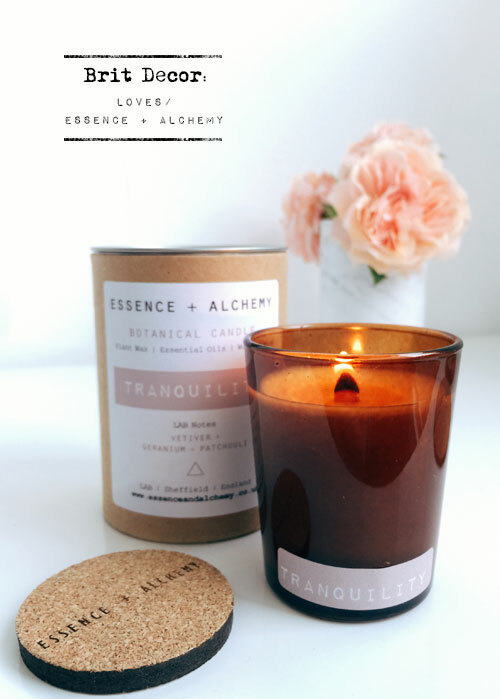 You guessed it, 'Tranquility' by Sheffield based Essence + Alchemy. My choice wasn't based upon scent alone, although the alluring smokey Vetiver and the heavenly Patchouli and Gernaium oils, undoubtedly transport my mind to somewhere incredibly relaxing and peaceful, but there's a whole lot more thought behind this carefully created range, which only adds to its curb appeal. 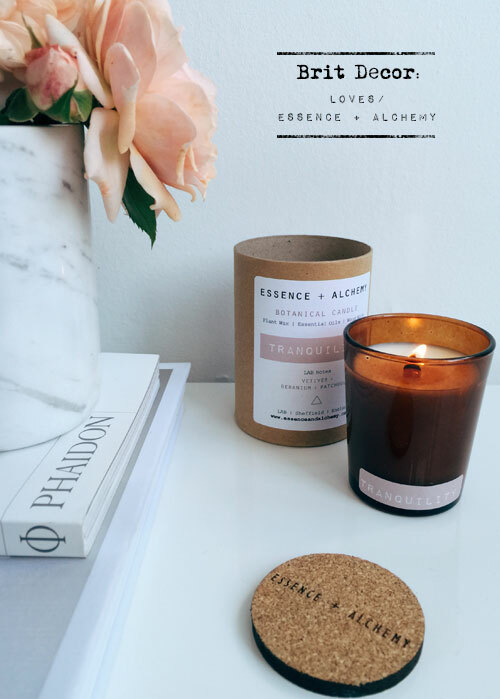 The brand's owner, Lesley, shuns synthetic materials and, instead hand blends all of the natural ingredients in small batches, using plant wax, essential oils and natural wooden wicks, which gently crackle when lit. 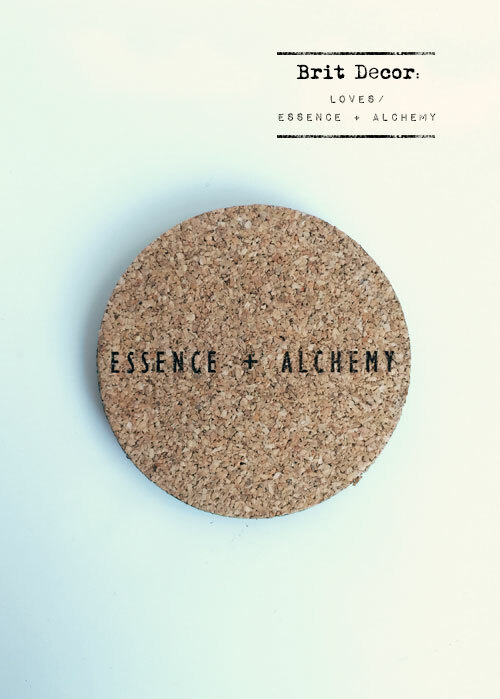 The seductive amber glass not only makes a strong visual statement, but it also protects the aromatic properties of the essential oils from sunlight, and then there's the simple but oh-so stylish cork lids! 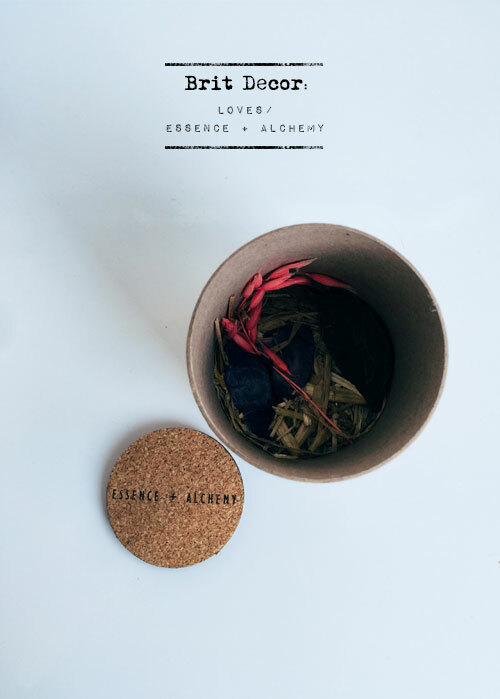 Did I mention that the packaging is made from 100% recycled card too? Style, aesthetics, and ethics - tick, tick, and tick. 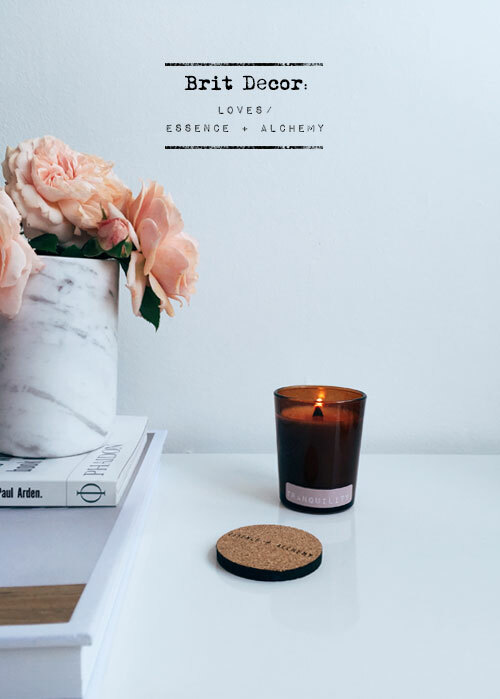 This isn't a sponsored post but one that I just had to share with you in case you are looking for that perfect scent to bring into your home, or maybe you are already a fan of this particular brand?